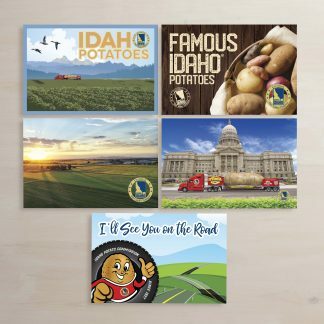 The Big Idaho Potato has been to the lower 48 states and we have traveled to destinations like NYC, Chicago and LA. Although I enjoy touring and visiting attractions in big cities. I truly have the best time in small towns! This week the tater team went to Hayesville, NC a rural area in Clay County. We were invited to Hayesville by a super fan named Richard, who had been requesting the truck for years. Although there was a small window of time for a visit, Richard and the Hayesville locals made the most of it! 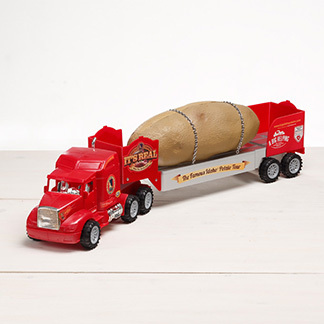 The Big Idaho Potato truck rolled into Ingles Market around 12pm and a sea of people began to form. Fans lined up to get photos with the truck and to greet the tater team! The Tater Twins and super fan Richard! A Big Helping was also fund-raising for two charities at the event, Matt’s Ministry, and the Clay County food pantry. Matt’s Ministry was handing out free books from the Dolly Parton’s Imagination library and the Clay County food pantry collected canned foods at the event. A Big Helping also donated boxes of Idahoan mashed potatoes to their pantry. The event was a whirlwind of excitement, fund-raising and fans! Volunteers from Clay County and Matt’s Ministry. After their visit to Ingles Market the team trucked on in order to make their Wednesday event in Waynesboro, Virginia. 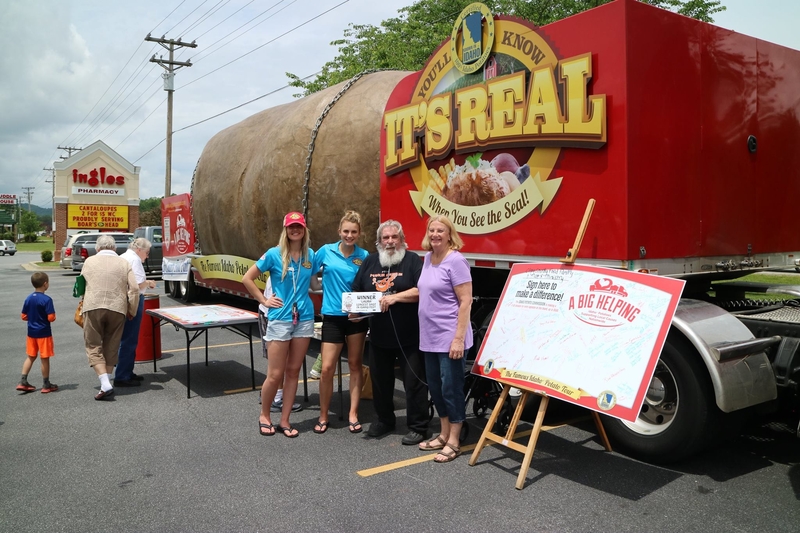 Although Waynesboro only has a population of about 22,000 people this turned out to be a HUGE event for the truck! Dap’s did an excellent job advertising the event and despite it being an overcast day, the flow of people was nonstop! 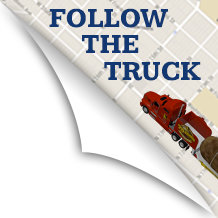 There was also a media frenzy and the truck and team was featured on a local radio show, the Virginian newspaper and on the channel 29 & 3 news! 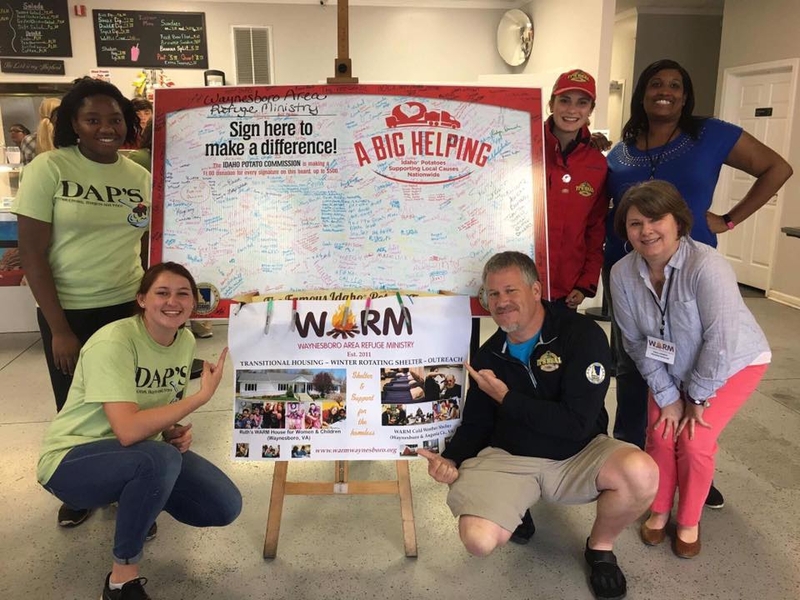 A Big Helping also raised money for the non-profit, Waynesboro Area Refuge Ministry (WARM) who provide services and shelter for homeless women and children. To top off an amazing day, the #TaterTwins and #Larry were treated to a delicious lunch of burgers, fries and ice-cream at Dap’s Family Restaurant. Larry and Jessica with WARM and Dap’s Employees. 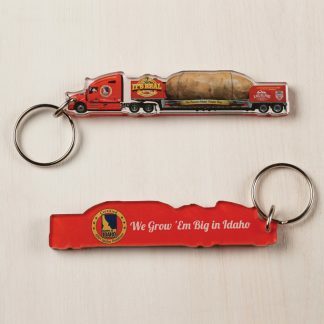 The Tater Team is now in the Nation’s capital and gearing up for the National Memorial Day Parade! 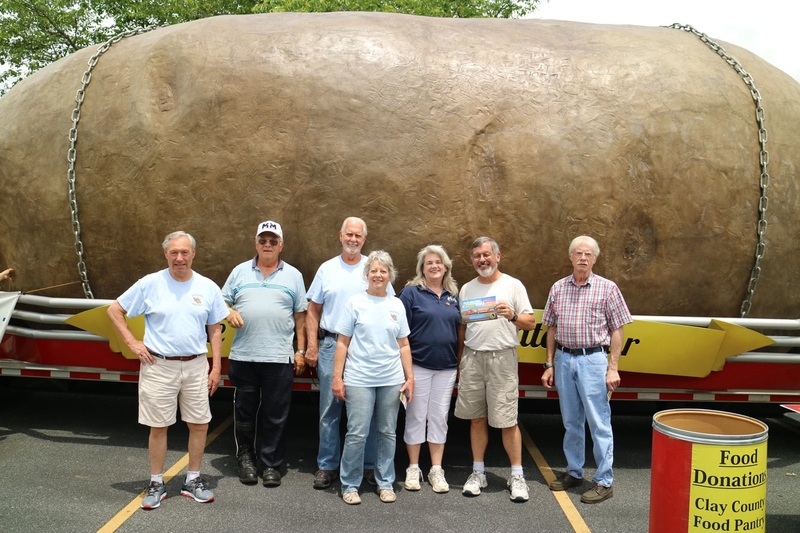 The tater team joined Sue Kennedy their PR representative and commissioners Tommy Brown, Peggy Arnzen and their guests Randy, Melissa and Danielle for dinner before the day of the parade. The team will also be joined by Jacob Walker, the world’s smallest boy, and his family! They will also be accompanied by special force veterans during the parade. The parade will be televised nationally so stay tuned, or you can watch the live stream at: americanveteranscenter.org ! Thanks for reading, and Happy Memorial Day!